I can’t quite believe we are already in the final school term of this year. While the end of every school year is a big deal, 2018 feels like a particularly huge milestone for my family. Lottie will be finishing nursery before embarking on her first year at school; it’s not only a huge step for her it will be the complete end or an era for me. Each of my girls have attended this nursery at one point or another over the years. We’ve built up a great relationship with all the staff, so saying goodbye to the team and not seeing them everyday is going to be so strange. 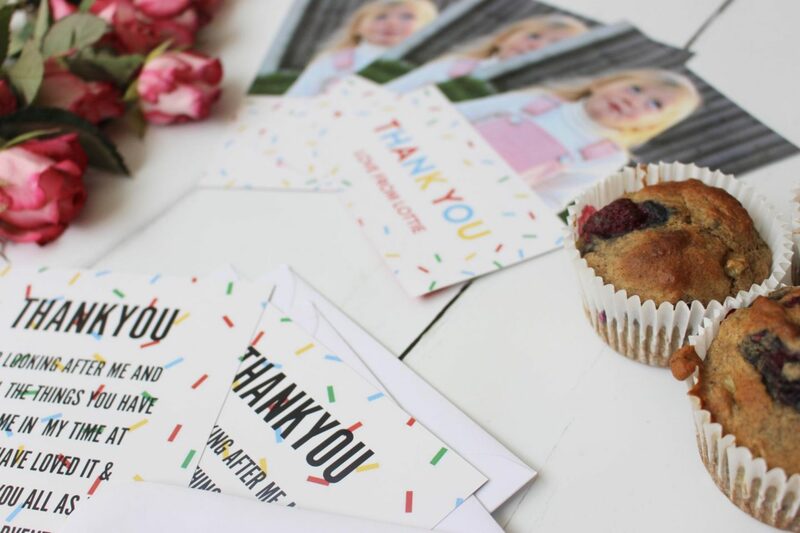 It’s made me think even more carefully about how we can really show our thanks for all they have done before Lottie leaves in July. For me personal gifts always come out on top, homemade items show you really care and have put time and effort in to creating something lovely. 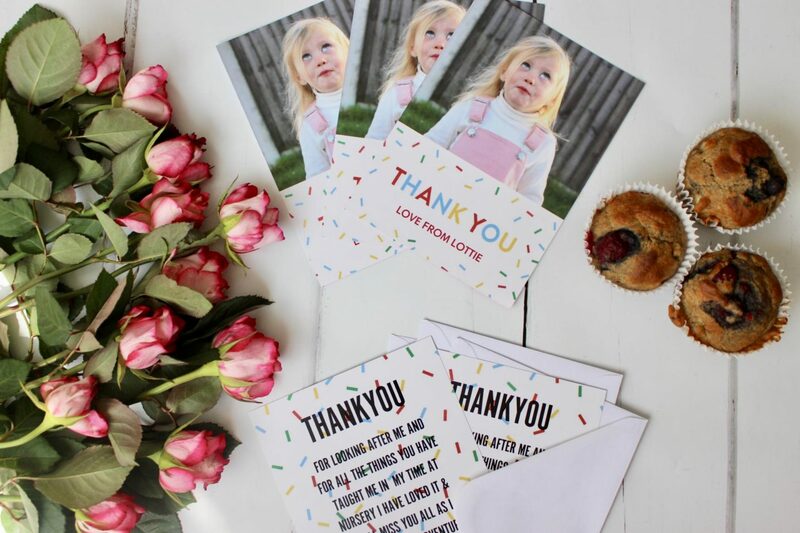 Snapfish is always my go to website when it comes to creating beautiful personalised gifts. 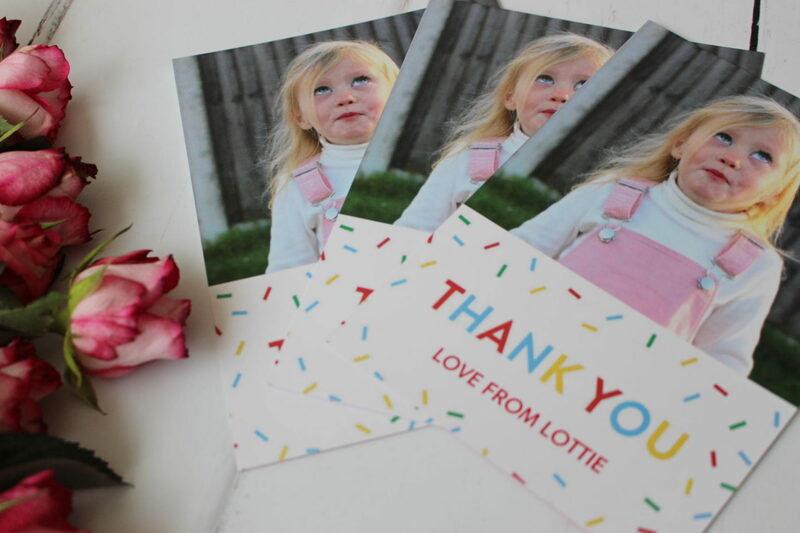 So I went online to create some really sweet personalised cards for Lottie to give to all of her teachers. I love that with Snapfish you can get really creative with the design process and personalise every aspect of your items; from back grounds, fonts, images and colours. They have a ton of templates you can choose from which already look amazing but by adding your own little graphics they become so much more special. I love how my cards have turned out. I feel as though they just add something a little more special to go along with some flowers and home made cakes. The cards are such great value for money you can purchase them in packs of 12 – 500 cards working out at just 83p a card. The perfect way to say thank you to the team who have helped my little ladies grow and develop into the confident little characters they are. I adore that picture of Lottie, so while I was online I couldn’t help but make my own magnet. 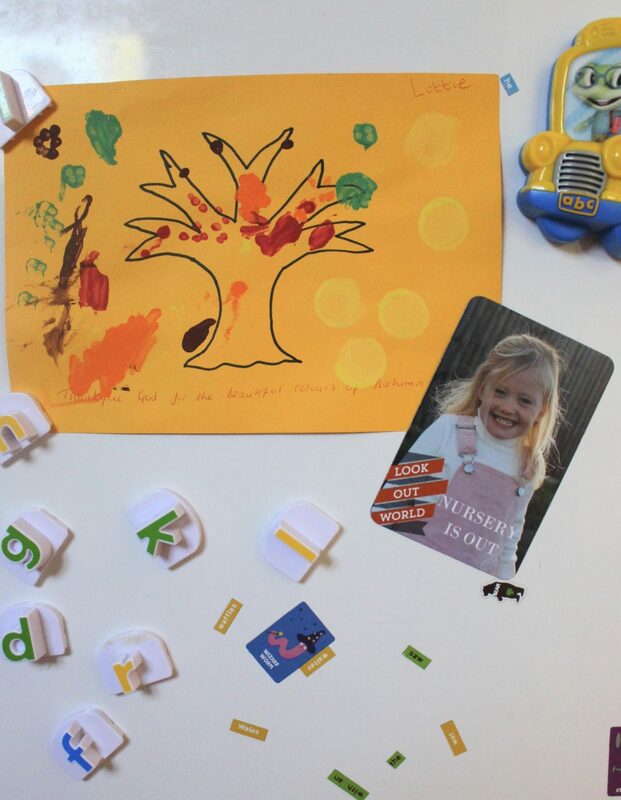 Just as a little keepsake I can use to keep some of her art work safely attached to my fridge! I still can’t believe in a matter of months we will be saying goodbye to nursery and hello to three little girls in full time school! 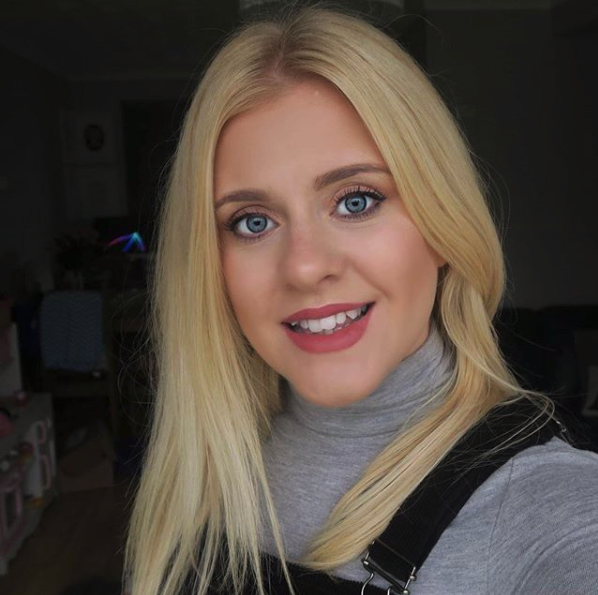 If you are looking to create your own personalised items online make sure you check out snapfish and I have a great discount code for my readers. Use SCHOOLFUN at the checkout for 40% off. This post is a collaboration with Snapfish, all thoughts and opinions are my own. Awww, these are lovely. My son leaves nursery this year too. I’m so emotional about it! These are such gorgeous cards. 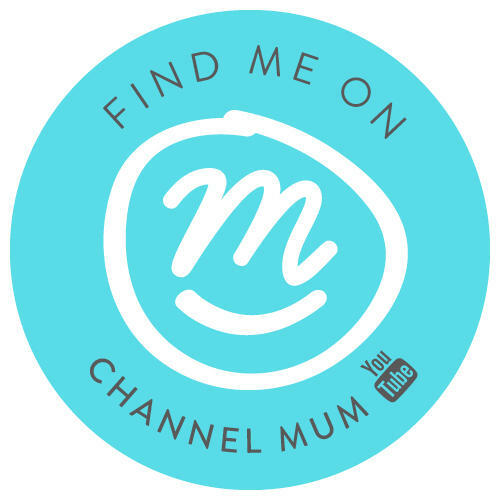 I love snapfish for personalised products. We use them every year to make a personalised calendar. Aww these are so cute and such a fun way to celebrate end of term. What a gorgeous selection of gifts. Those cards are seriously cute and a lovely way to mark the end of the era – where does time go?! Looks fantastic I’m always on the hunt for websites like this. I love personalised and photo gifts . They have a chopping board! These are so lovely! I remember when my two left nursery and all the emotions that both they and I went through as they embarked on their next exciting journey in life. 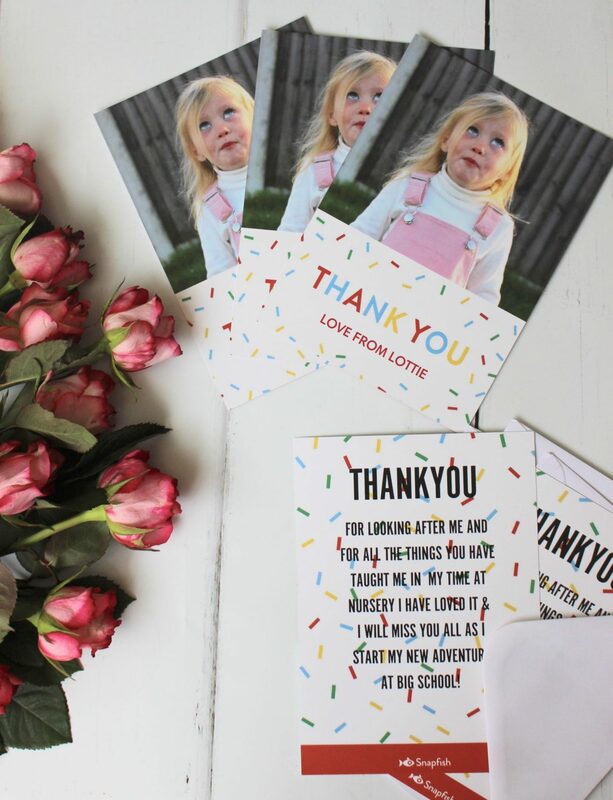 It’s a huge step for them and these personalised gifts that you’ve made for Lottie’s teachers are great! I wish her all the best at her new school. Ohh I love this!! I need to do something similar, personal presents are so much more thoughtful aren’t they!